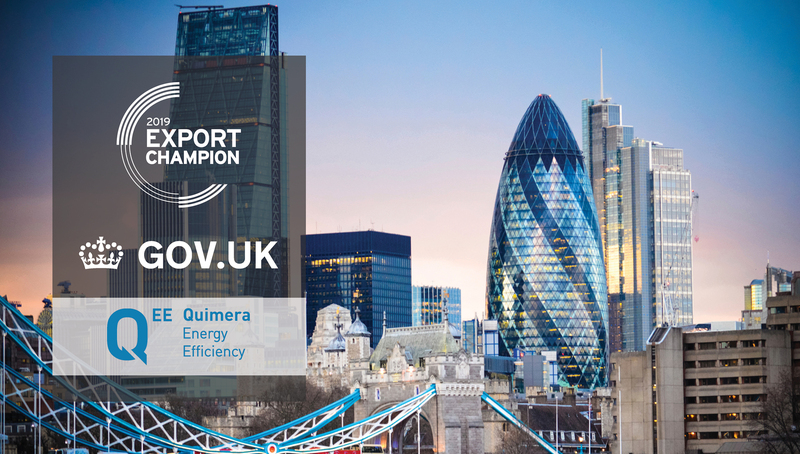 Quimera Energy Efficiency (QEE) is honored to be named a 2019 Export Champion by the UK government’s Department for International Trade (DIT). DIT launched its Export Strategy in August 2018, with the objective of increasing the value of GDP through exports from 30% to 35%. An important part of the strategy is designed to ‘Encourage’ peer-to-peer support creating a community of Export Champions with the aim of sharing their knowledge and experience of developing business overseas with other UK companies, so helping them to grow by developing their own international sales. Export Champions are companies that have successfully sold overseas and are prepared to encourage others to consider growing their business through exporting. QEE is a London-based company founded in 2015 and is a Global leader in the field of Energy Efficiency. The company delivers it’s IoT and Smart Building solutions to clients at zero cost as it optimizes a building’s energy consumption so reducing our client’s costs and emissions. This successful, performance based business model has allowed QEE to service markets including China, India, America and the Middle East. The Department for International Trade (DIT) helps businesses export, drives inward and outward investment, negotiates market access and trade deals, and champions free trade. DIT is an international economic department, responsible for supporting and encouraging UK businesses to drive sustainable international growth, ensuring the UK remains a leading destination for international investment and maintains its number one position for international investment stock in Europe, opening markets, building a trade framework with new and existing partners which is free and fair, using trade and investment to underpin the government’s agenda for a Global Britain and its ambitions for prosperity, stability and security worldwide. Quimera Energy Efficiency (www.quimeraee.com) is an international company based in London, UK. 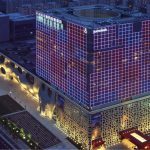 QEE adopts a retro commissioning approach to energy efficiency, focusing on generating energy savings and minimizing emissions by optimizing the energy consumption of the property by implementing IoT and Smart Building solutions under performance-based scheme with no cost to the client.